Norm Kobelke’s first tour of operations was with 458 Squadron, flying in the Middle East. In October 1943 however, he joined 467 Squadron as part of Kingsford-Smith’s crew, then went across with “C” Flight when it was split off to form half of the new 463 Squadron. Norm completed 55 operations in total, the last 20 with Rollo. His final trip was 24 May 1944 to Duisberg (“Last of 2nd tour,” he wrote in his log book. “You beaut!”) and about the same time he was awarded a Distinguished Flying Cross. After the war Norm stayed in the Air Force but sadly, in February 1948 he was killed in the crash of a Lincoln bomber at Amberley, Queensland. Photo courtesy Richard Kobelke. His father Norm is seated on the far right. This is probably the most interesting out of the photos in the small collection that Richard sent me. 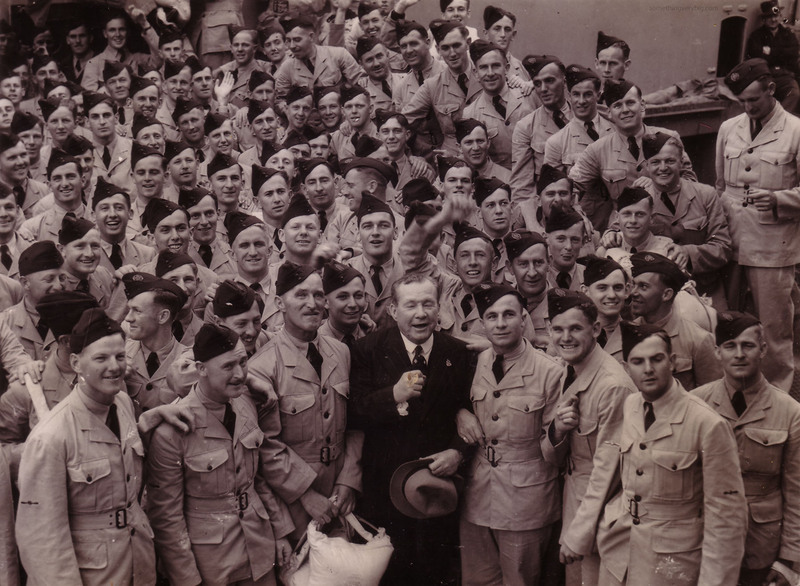 In amongst a big group of airmen (Norm is there too, in the top right of the photo) is a man in a civilian suit. Clearly he is someone important, but we have not yet been able to pin down a definite identification. The best guess so far is Lester B Pearson, a Canadian politician who would go on to become Prime Minister two decades after the war. 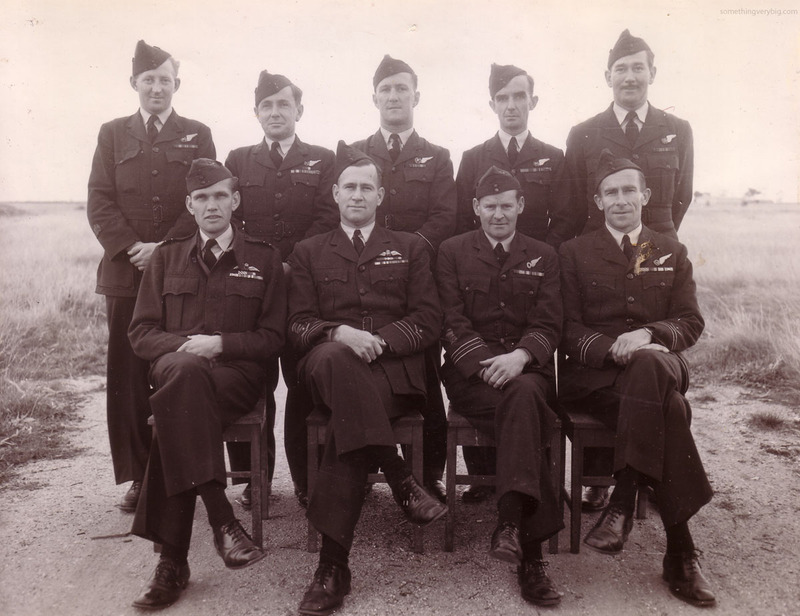 Certainly we know Norm trained in Canada and the rest of the airmen in the photo appear to be all Australian, and the man bears something of a resemblance to the two photos in this link, but for the moment his identity remains a guess at best. The pair would marry a month later, with Kingsford-Smith attending and rear gunner Proctor the best man. Diaries are really the only source of this sort of information. 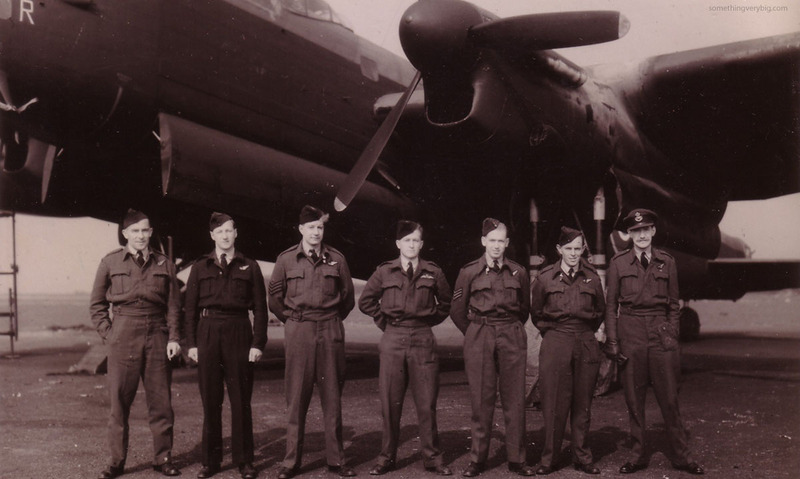 It is certainly never something you find in official records (because they were rumours) and is unlikely to make it to letters sent home, but it’s very much part of the life and times for Bomber Command aircrew. I can well imagine aircrew discussing the latest rumour in the crew room or over a pint or two at the pub. A diary was the one place where aircrew could put down their thoughts and feelings if they wanted to. They are in many cases a great little uncensored snapshot of what was going on at the time. 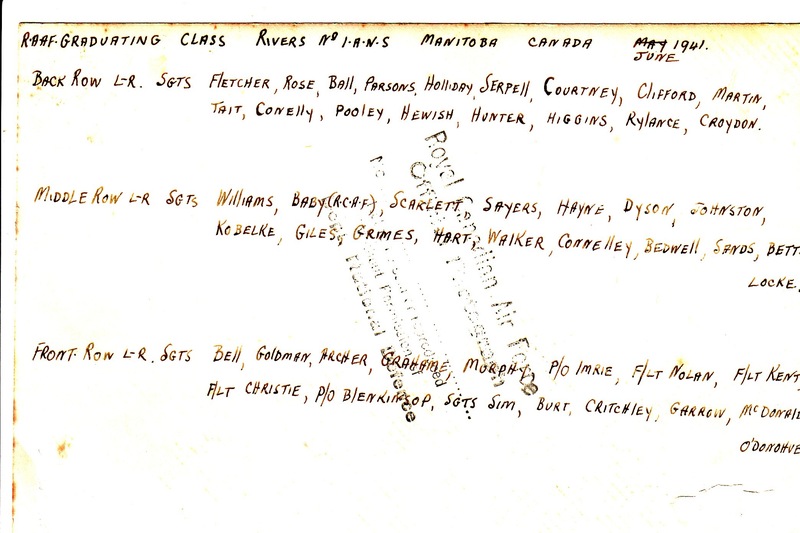 (Well, almost uncensored – Norm’s diary shows evidence of some parts being cut out, apparently cleaning up when he married Biddy!). In all, it’s a great little collection of photos and documents and I’m grateful that Richard has allowed me to see and share them.